Semiautomatic special grinding with CNC VZ-414F4 is designed for sharpening the deep-cut gears for cutting conical gears with circular teeth from high-speed steels with high-strength elboric grinding wheels with cooling. 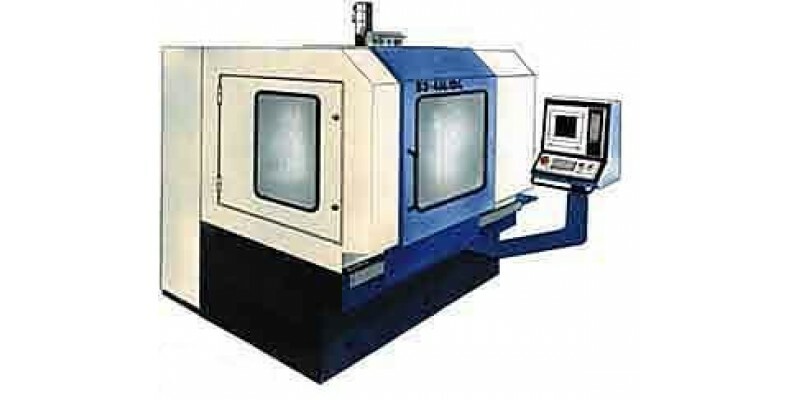 Application of CNC SINUMERIK 810D manufactured by SIEMENS, Germany, guarantees high quality of semi-automatic control, ensures its reliable operation. The ability to control from a higher-level computer. Moves on coordinates are carried out by digital motors controlled by SIMODRIVE 611 digital valves from SIEMENS, Germany. The presence of 5 controllable axes makes it possible to process products with automatic adjustment, which significantly increases the productivity of processing by reducing the auxiliary time, increases the accuracy of the processed product due to elimination of errors arising during manual adjustment, and, in addition, facilitates the operator's work. Currently, the machine is not supplied, but we will try to pick up an analog for you. The semiautomatic device is equipped with a measuring device of the firm "MARPOSS", Italy, for measurements of gearheads before and after sharpening. The grinding wheel is made with a diamond tool. Lubrication for all guides and ball screws is centralized. Semi-automatic machine has a powerful cooling system. 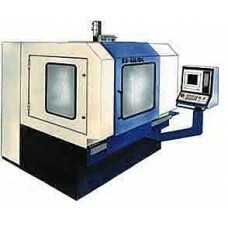 The new layout of the semi-automatic allows the most rational use of the working space of the machine. The original design of the fence makes it possible, with good sealing and a review of the cutting area, to have convenient access to the working elements of the semi-automatic machine for maintenance and repair.